Since year 2011 our company started to work together with the local community to establish the Paquera.- Tambor Sustainable Fishing Area. 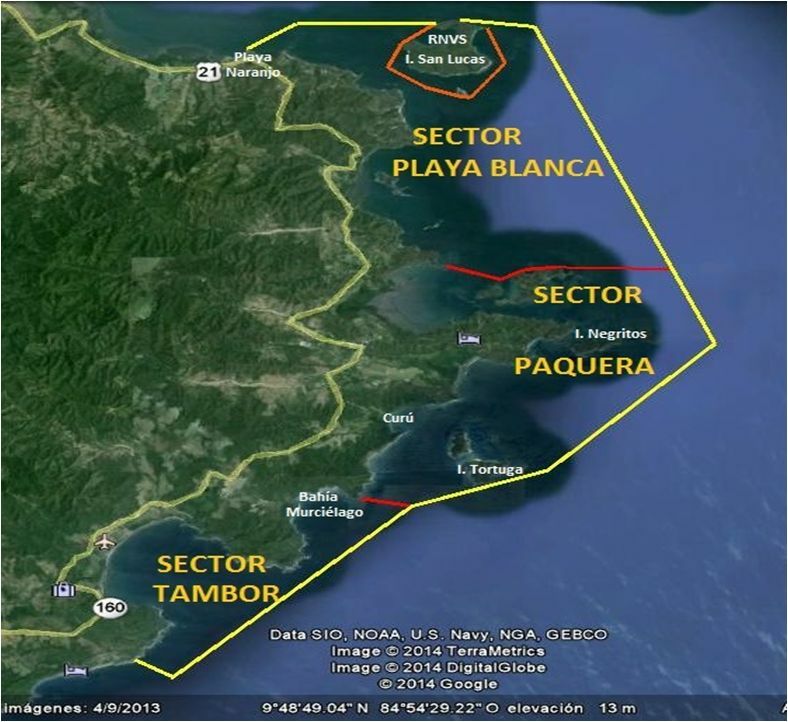 This is an area of about 80 km of coast that was proposed as an area in which the local fishermen together with the government and the private companies develop a management plan that will allow the fishermen and tourism companies to use the marine natural resources in a way that will let the marine environment hold a controlled use throughout a long period of time. We help with some proposals for raising funds for local fishermen´s chamber. Our company sponsored most of the process from year 2011 up to year 2014, when this area was establish. Still today we continue being an important part of all the process. 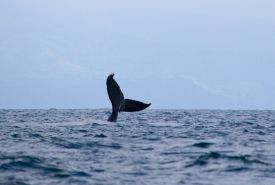 The area of the Guld of Nicoya is well known for humpback whales who visit it thoughout the year. These whales come to the warm waters of the Central American countries to escape from the cold winters in their feeding areas. They use these warm waters to breath and to reproduce, but not for feeding, that means they spend 6 month without eating, and they can lose 1/3 of their weigh in this time. They come from the north of Central America and from the south, depending on the time of the year. From September throughout February whales come from North American coasts, and from March thoughout August comes the ones from South American coasts. 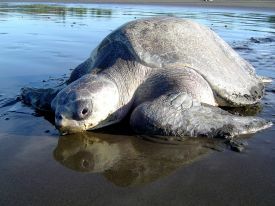 In the summer 2009-2010, we documented 3 females gave birth in the area near Islas Tortuga. For several years our company collaborated with groups of reserchers who took pictures of their tails marks to identify them. Also we helped collecting genetic material for DNA studies. 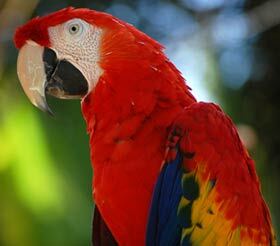 This birds are known for their colorful plumage and loud sound. Unknown reasons made them all desappeared from the area of the Nicoya Penisnusla during the decades of the 70 until the 90. In the mid-90 these project started by reintroducing some individuals of this specie by a group of scientists that breed the individuals in captivity and released them in Curú. Our company participated in the liberation and monitouring released individuals. Today you get to see some of these birds flying freely and nesting in the area of Curú. Like the Scarlet Macaw, this species disappeared from the area south of the Nicoya Peninsula for reasons that have not yet been accurately explained . During the 90, some individuals were reintroduced in the area of Curú, and some other who did not qualify for release purposes because of their age or physical conditions, are kept in a controlled area of semi-captivity. Our company collaborates with their hold and care. They depend on human beings because of their condition. 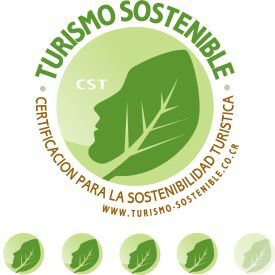 This is a government project which evaluates some places with touristic, protection, or educational interest, in order to rate their status and to encourage local people to establish cleaning campaigns and to integrate the area with other similar activities in Costa Rica. The places that meet certain requirements, such as water quality, indicating that they are not contaminated, they are rewarded with the Blue Flag award, which is a recognition of having passed all quality controls and cleaning standards. 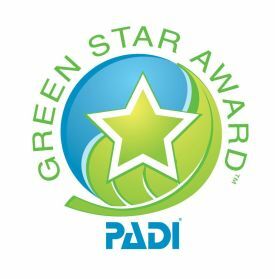 Our company is leading this group of people that had obtained the award for the beaches Curú and Quecera, both party or Curu Wildlife Refuge so they form part of this select group of places to achieve this award. We implemented environmental procedures, environmental education programs, labeling the area, cleaning and recollection for the recycling of non organic waste. As part of the Blue Flag environmental education program we focused our efforts on teaching our children the moral and ethical values that will allow them to be better citizens. We worked with five communities in the area, over 500 children with reforestation projects, agricultural crops, recycling projects and more. As part of our policy we establish reforestation projects to plant trees, for timber, ornament, fruit production and resource protection. In 2009 we won a national level competition for planting trees in the area. Before that year we had already planted more than 60,000 trees in Curú area (90´s). We are currently in the process of planting over 1000 fruit trees that will feed humans and animals, ensuring a food source for the future. 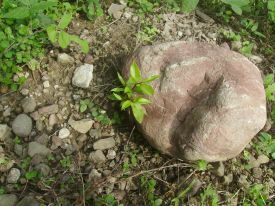 This project is called "plant a stone" because alongside of each tree is placed a large rock to protect it from animals and natural effects. In the area around Islas Tortuga (Turtle Islands) there are places that are use by the White Tip Reef Sharks to sleep during the day and feed at night. In addition, between February and April, the pregnant females visit the area to give birth. 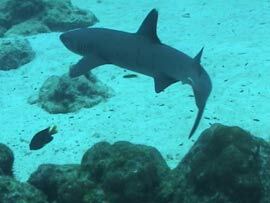 Other species of sharks also visit the area during those months to give birth to their offsprings. Turismo Curú maintains a permanent monitoring of the species each time we dive in the area in order to better understand the behavior of the species. 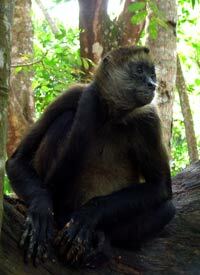 We even came to participate in a project to collect tissue samples for genetic studies of this species in Costa Rica. Artificial reefs are structures placed by humans on the ocean floor in order to give an artificial home to some marine species. They can be made out of different materials such as ships, airplanes, tires, plastic structures and any other material that may provide some protection for the marine life. In Curú Bay we have some of the oldest artificial reefs of Costa Rica. In the decade of the 80´s we helped with the first project with the placement of more than six thousand car tires and two wooden boats at the bottom of Curú bay. 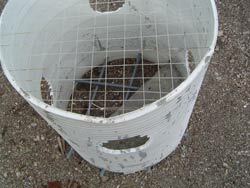 In the late 90´s and early 2000´s, other plastic structures were installed. In addition, our company is constantly renewing these structures with tires, fallen trees and rocks, which are placed in areas with poor or no marine life so the structures attract species that migrate to the area or use it to reproduce or lay their eggs, these are organisms that were not present in that specific area before placing the structures. The coral reefs are not very common in this area, but there are some places with soft corals, also some sites where some hard coral is present and growing back. 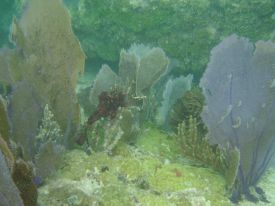 In the year 2005 we work with a project trying to replant corals in certain areas. For several years we have participated in some studies for coral monitoring, getting to measure their growth and censuses of species and number of individuals per area. These areas are those rocks that are exposed at low tide. It is important because of their richness in species in the marine food chain. 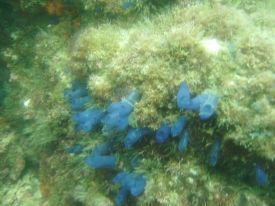 Some of the species present are hermit crabs, marine worms, seaweed, clams and a large number of individuals. 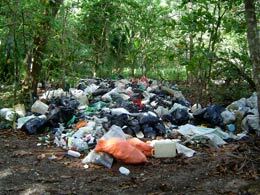 There have been comparative studies of these areas near Curú to compare it with other sites that have been commercially exploited and damaged by humans. For many years we have been helping to protect the nests of turtle that come to lay their eggs on the sandy beaches of the Bay of Curú. In previous years we participated in a project of breeding and caring for nests and newly hatched turtles, these were releasing two years later in the bay of Curú. We have rescued some injured turtles from the ocean and sponsored to take them to a marine rescue center in Puntarenas. Every year the rains wash tons of waste from main land into the rivers and from there into the oceans which then deposited the waste on the beaches in the area. So every year the waste is collected appropriately to treat. Debris from the seabed and foreshore are also collected. we had participated in global campaigns for waste collection with Project Aware Foundation. Today we are in a process to recycle this materials and shape the plastic into different furnitures.